Windows Vista’s hardware requirement is quite huge when compared to the Windows XP. There are lot of services in Windows Vista that run in background and consume CPU and RAM there by making your computer slow. Based on your computer usage number of services in Windows Vista can be disabled, this would improve the computers performance. You can do this from within Windows Vista using the service manager but it is not that user friendly for an average novice user. 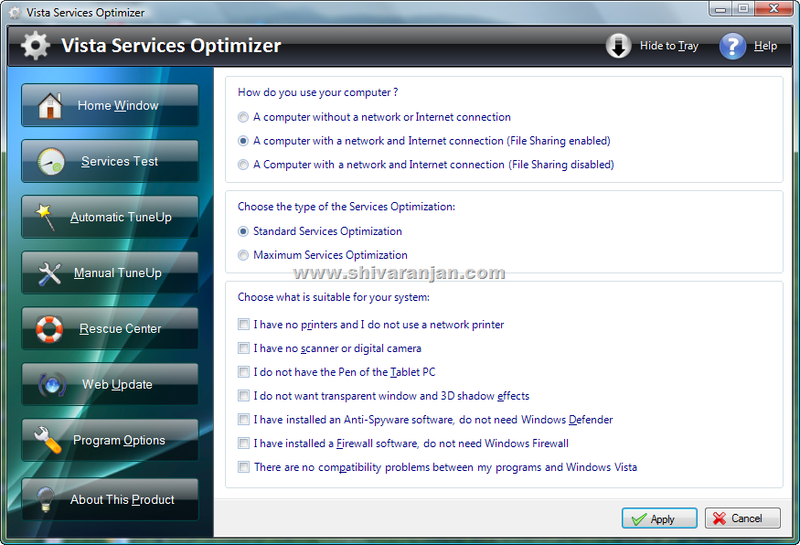 Vista Services Optimizer is a free utility that will allow you to tweak and safely optimize Windows Vista services. 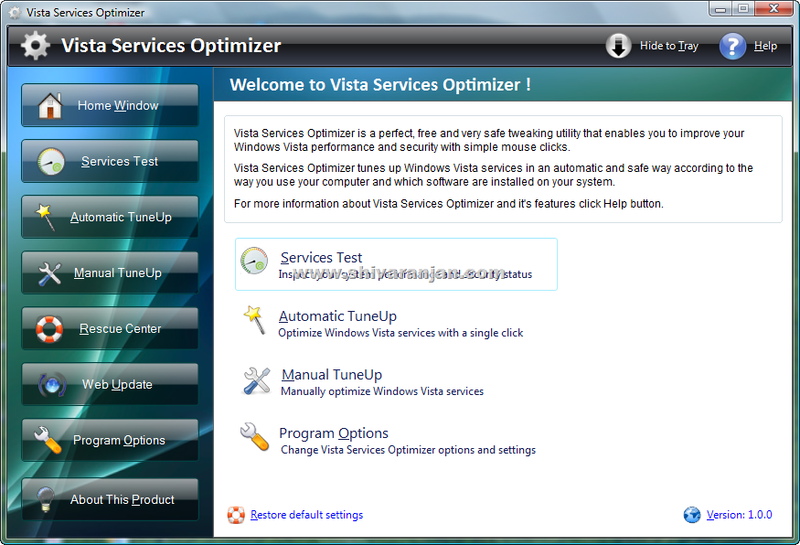 Vista Services Optimizer can scan and display a report about your existing services configuration. This reports gives details about the current optimization status of the various services, this gives you an overall picture on how good your Windows Vista services are configured. The program offers two options for services optimization they are: Automatic Tune up and Manual Tune up. In automatic tune up you define the typical usage of computer and the program does the optimization for you. In manual tune up the various optimization options are presented under three categories, they are: performance, security and network. Each category has got options that belong to that category. So you can choose and optimize the exact services that you intend to optimize. 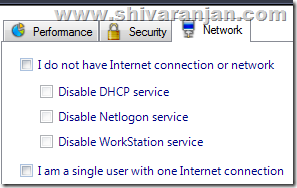 For example if you are not connected to Internet and network then you can disable the services related to Internet and networks. The there is rescue center that has been provided in the program to restore all changes that was applied using this program just in case you screw up something. This is pretty useful as you need not worry about screwing your computer as you can restore it to previous state using the rescue center. This program only works with Windows Vista and requires .NET 3.5 framework to run. exactly where the premium is just $.84 (vs.